I was recently interviewed by David Giard for his podcast titled “Technology and Friends”. 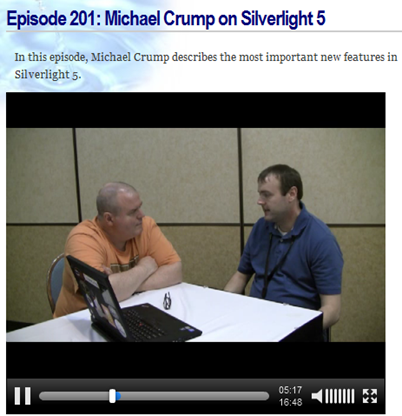 We talked for about 20 minutes on all things Silverlight 5. We discussed the Free eBook on Silverlight 5 that I recently published and was sponsored by Telerik to talking about all of the new features in Silverlight 5 that a Silverlight 4 developer could benefit from. Check out the interview and let me know what you think.